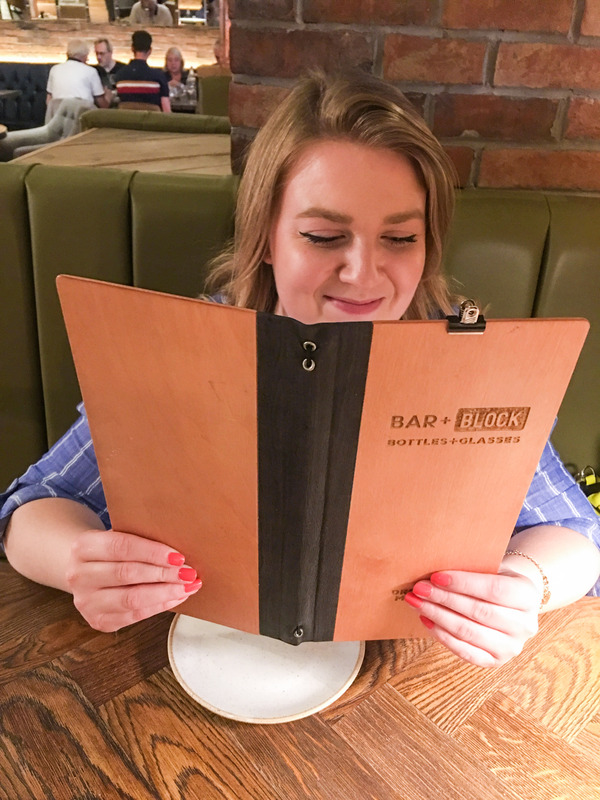 Dinner at Bar + Block, Whiteley - Kat Got Your Tongue? Do you like steak? 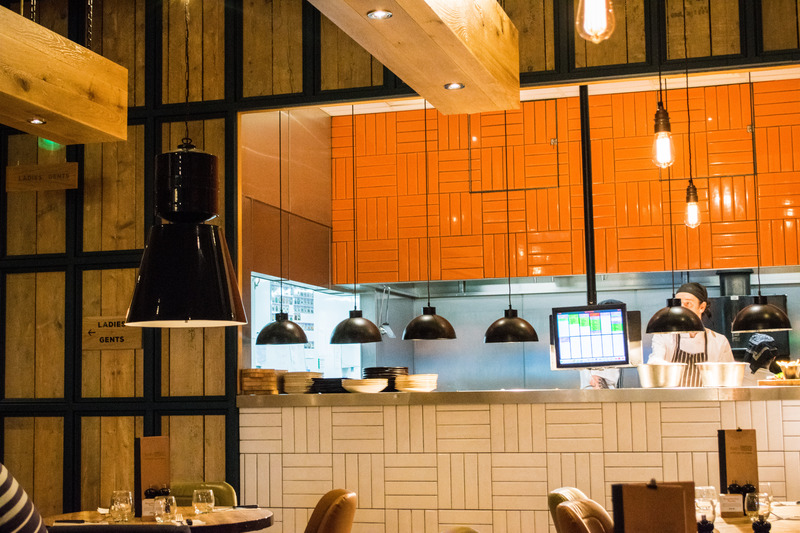 I certainly do – so I was very excited when Bar + Block invited myself and Tom along for an evening of excellent food. 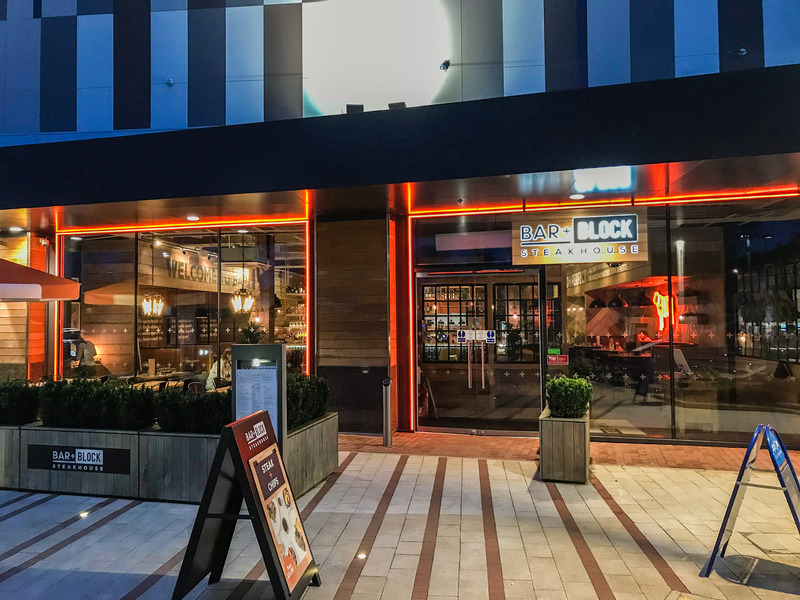 Our local Bar + Block is at Whiteley Shopping Centre, near Southampton, and it opened a couple of years ago – but we hadn’t managed to visit it until earlier this week. 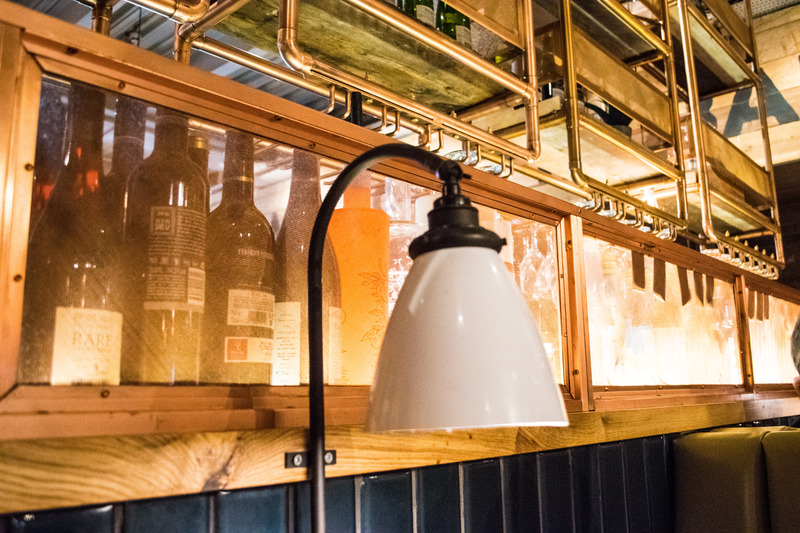 The decor inside is beautiful – full of copper pipes and wood, the restaurant feels cosy and inviting, and the tables are nicely spaced out and private enough for couples to dine together. 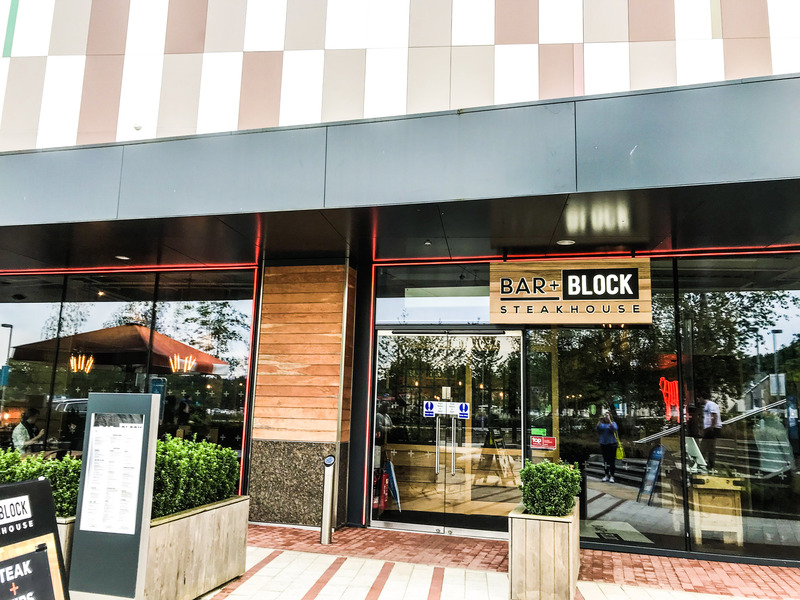 Bar + Block specialises in steak, as you might have guessed, but their menu offers a whole lot more – making the restaurant a great choice for a large group outing! However, we opted for steak. 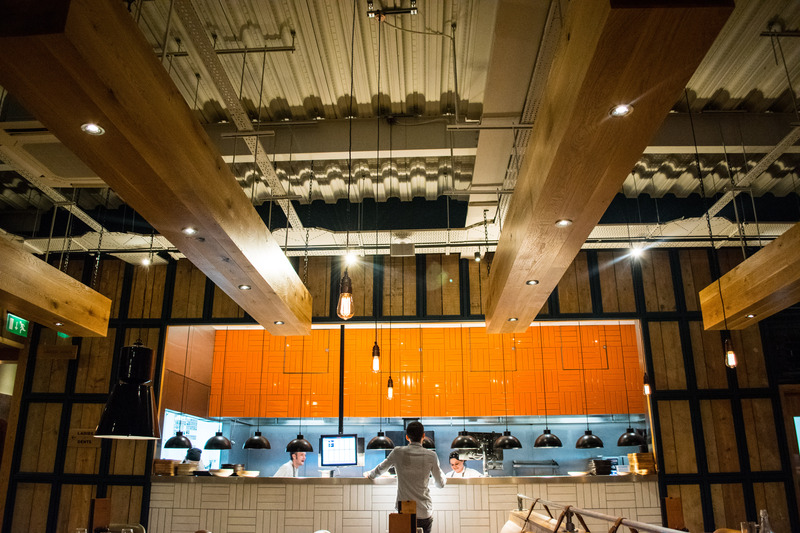 Bar + Block actually butcher the beef in the restaurant right before they cook it for you, so you’re guaranteed to have fresh, juicy cuts of meat that are full of flavour. Sounds pretty good right? They offer a curated selection of cocktails (offered at half price during the week – even better!) 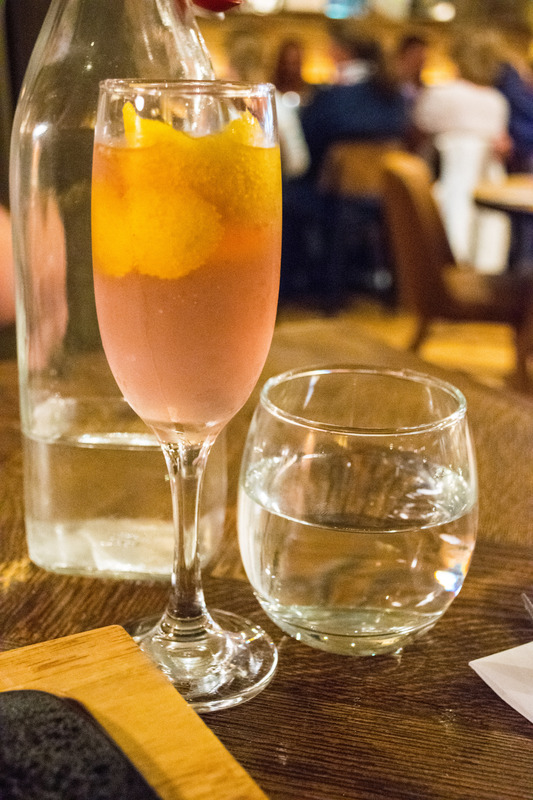 and we tried a couple each – all of which went down far too easily. 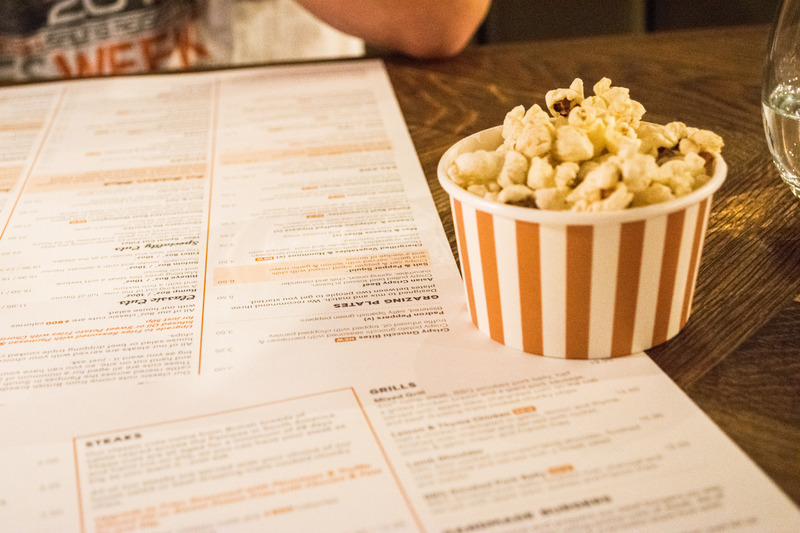 While you are perusing the menu, a friendly waitress will deliver a bottle of chilled water and their homemade beef dripping popcorn – which is delicious. I was a little dubious at first, but we went back for a second tub of popcorn. 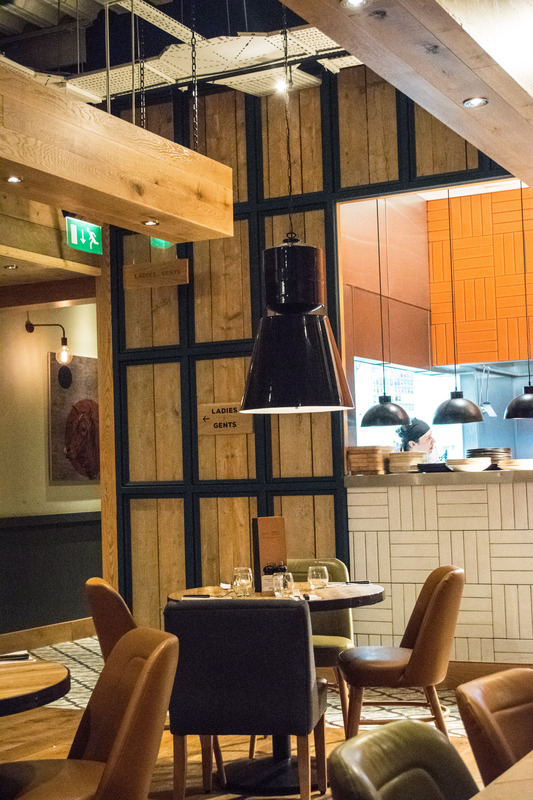 Unusual and very moreish! 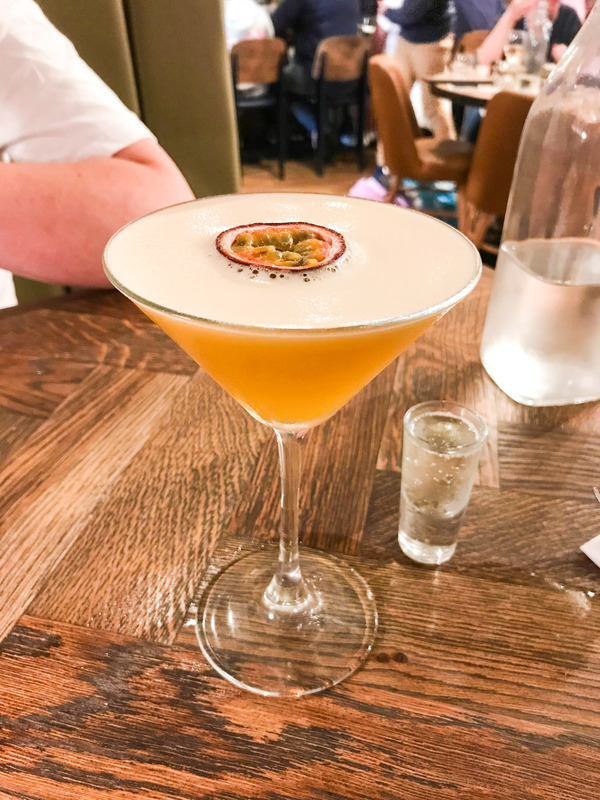 My first cocktail of choice was the Pornstar Martini – a classic, and always a lovely drink. 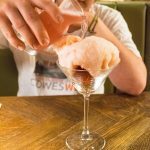 Tom chose the novelty option (spurred on by me), the Candy Floss Martini. 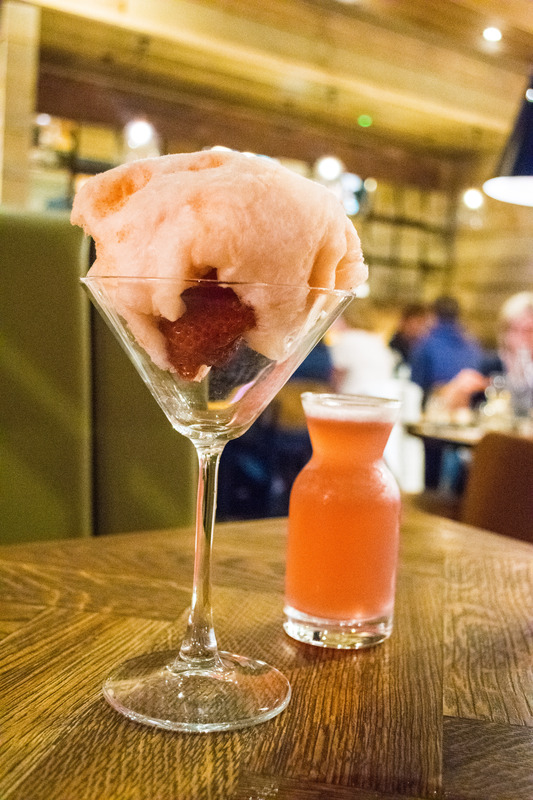 This was served as a ball of candy floss and some strawberries in the glass, with the cocktail mixture in a bottle ready for you to pour over yourself. Oh, the excitement! 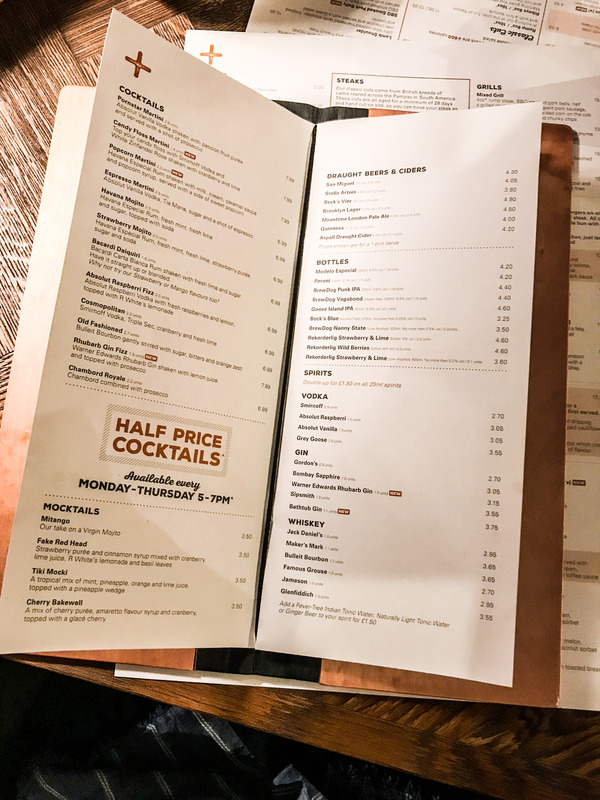 For our starters, we both chose fish options. 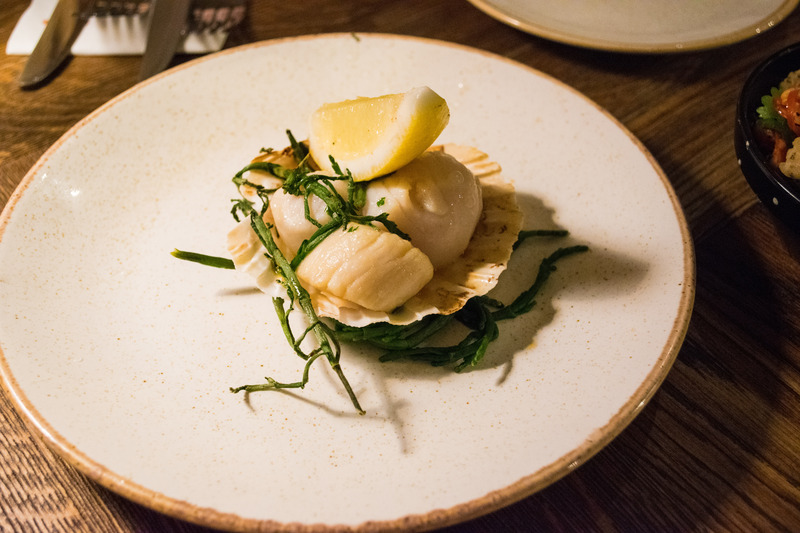 First up were the Atlantic Scallops, which are one of the new options on the menu ready for Summer. I feel pretty confident when I say that these are the best scallops I have ever tried. 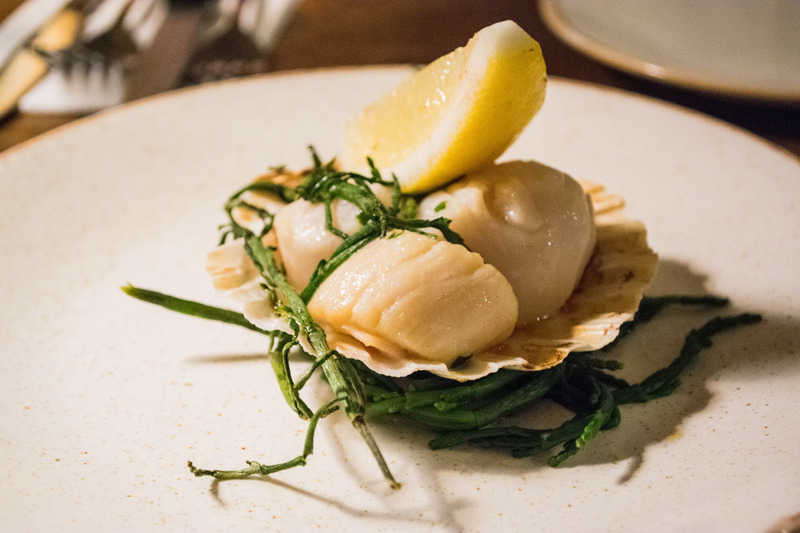 Fresh and light, perfectly cooked and served with samphire – you need to try these. 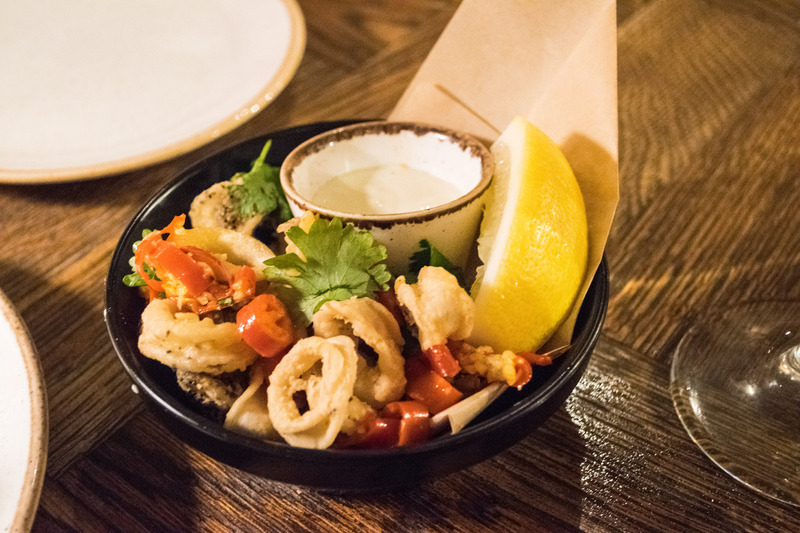 The second starter was Salt & Pepper Squid, which is one of our favourite things to order – and it was delicious! 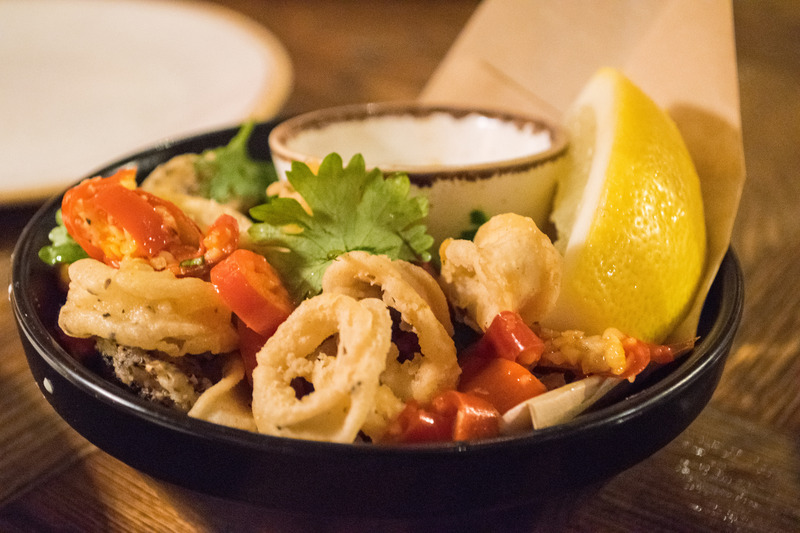 Crispy and with a hint of spice, perfect for sharing. 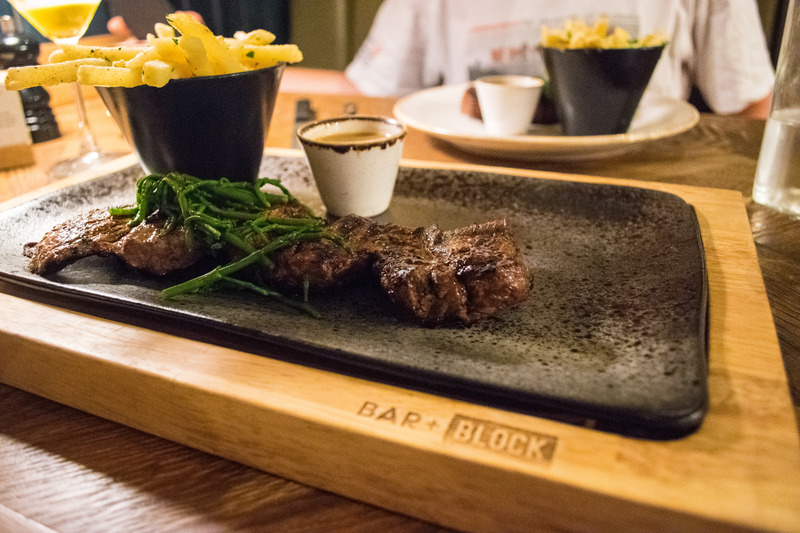 For the main course, I opted for one of the speciality cuts – the 10oz Spiral Cut Fillet. This was hands down the best steak I have ever had. It had been marinated with garlic and parsley for 24 hours, and was succulent, perfectly cooked and absolutely amazing. I chose to upgrade my fries to the Parmesan & Truffle Oil fries – which was definitely a good choice – along with peppercorn sauce. 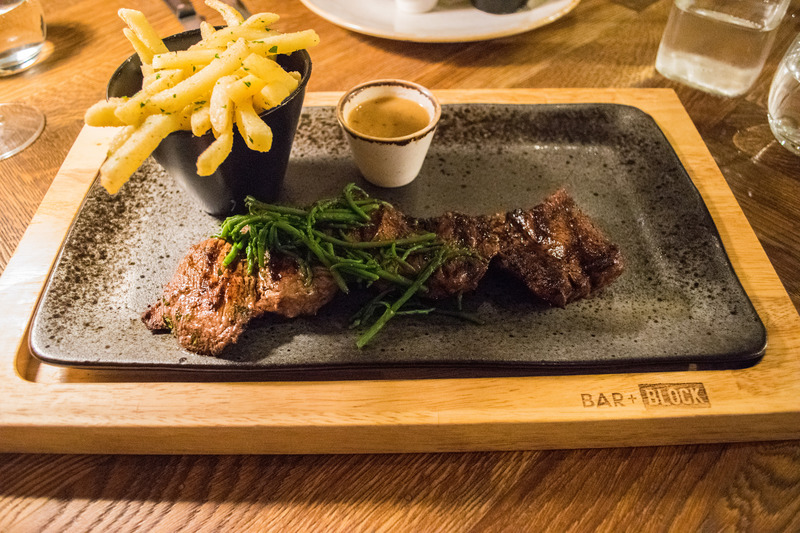 Each steak is served topped with samphire, which is a refreshingly different way to serve them. 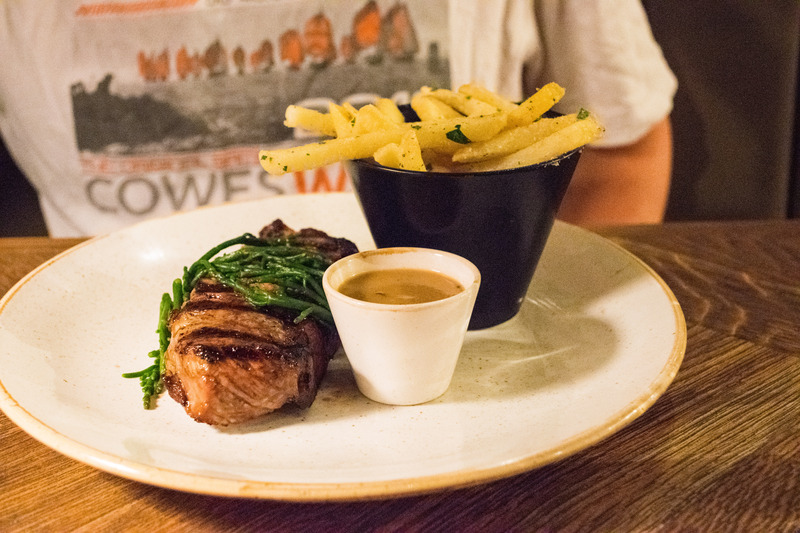 Tom chose the 10oz Sirloin, served with samphire, peppercorn sauce and the Parmesan & Truffle Oil fries – perfectly cooked and very tasty. I was so impressed by how much flavour the steaks had. 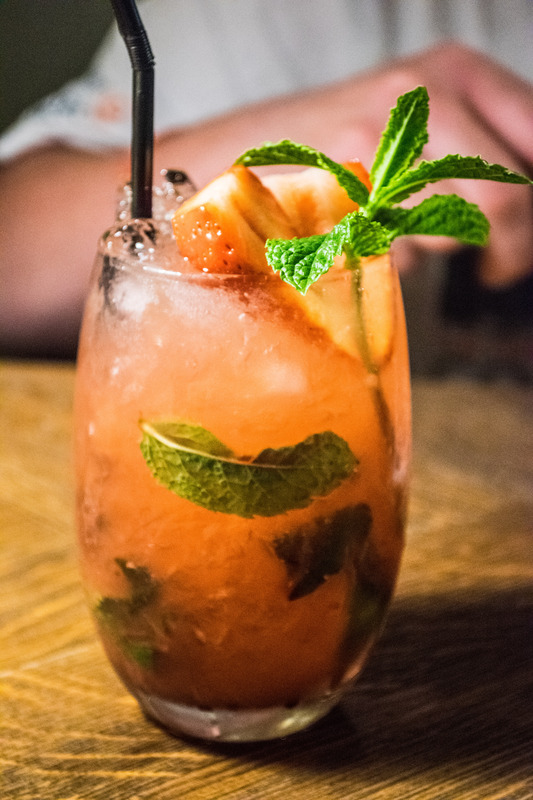 Washed down with a Strawberry Mojito. And a Rhubarb Gin Fizz for me! 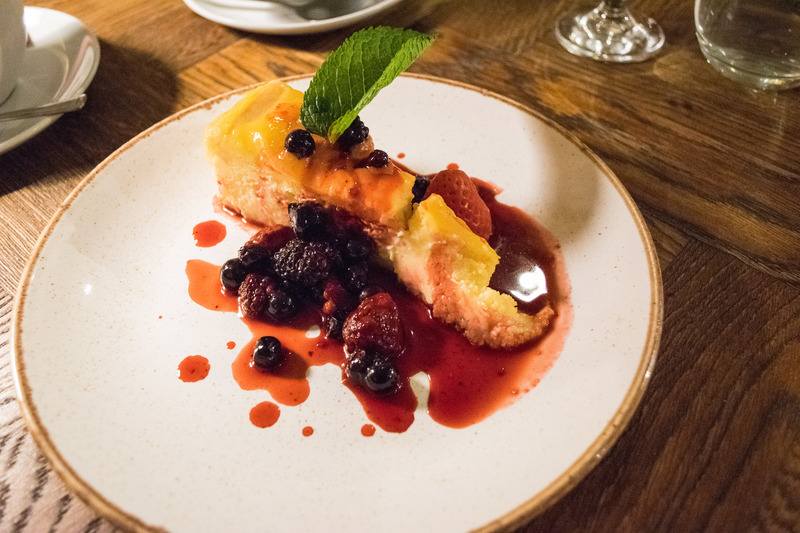 For dessert, I ordered the Lemon & Clementine Cheesecake, which was creamy and perfectly tart, and one I would order again. 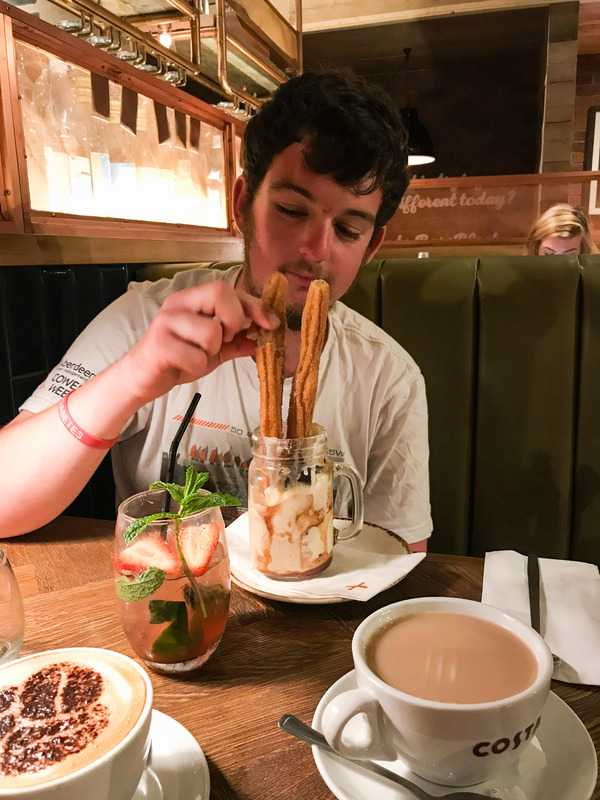 Tom chose the Chocolate Churros Sundae – possibly the most ridiculous dessert on the menu. Just look at it! 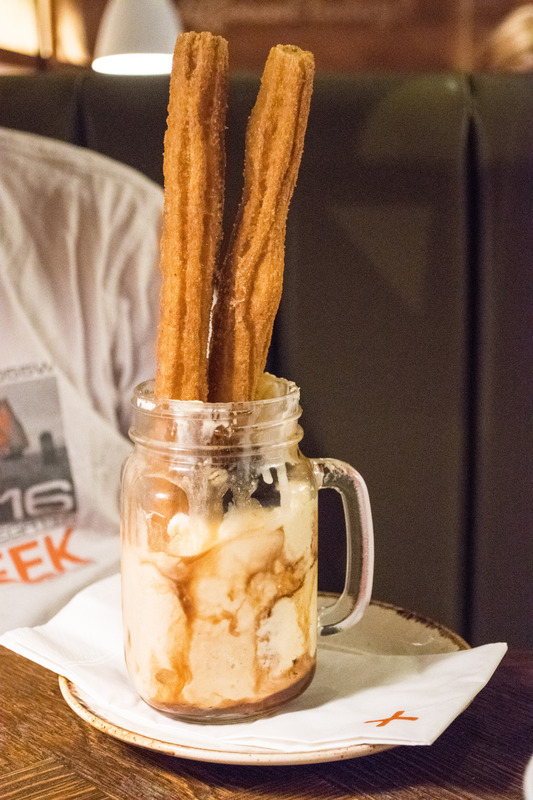 The churros were fantastic, and the ice cream was lovely. 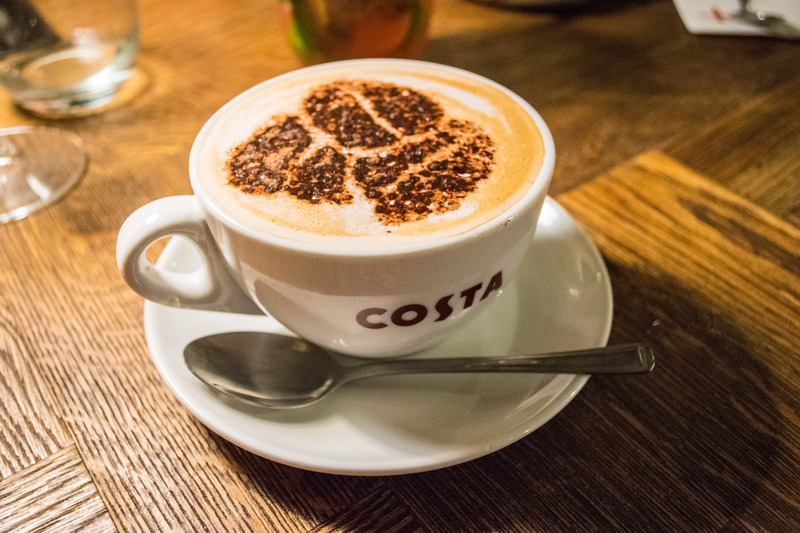 All finished off with a cappuccino and a pot of tea. 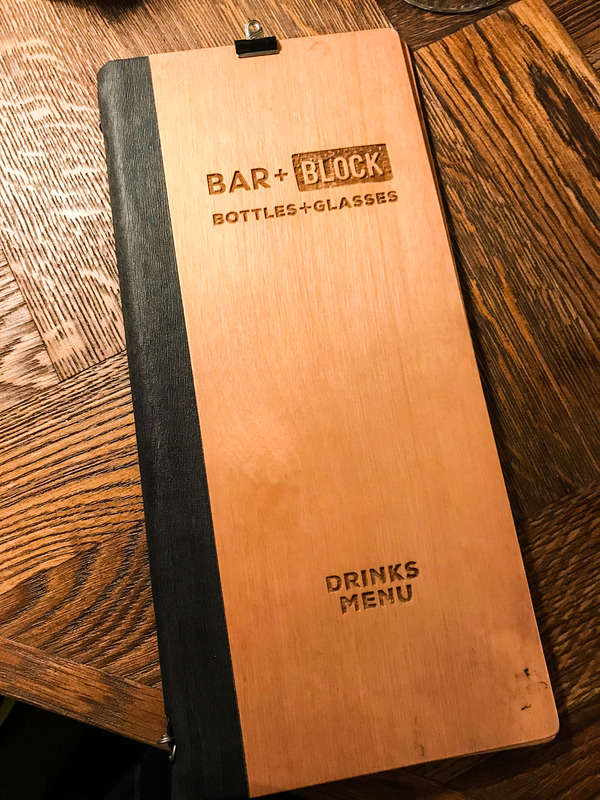 We had an absolutely fantastic dinner at Bar + Block – the staff were friendly and attentive, the atmosphere was relaxed and the food was all delicious. 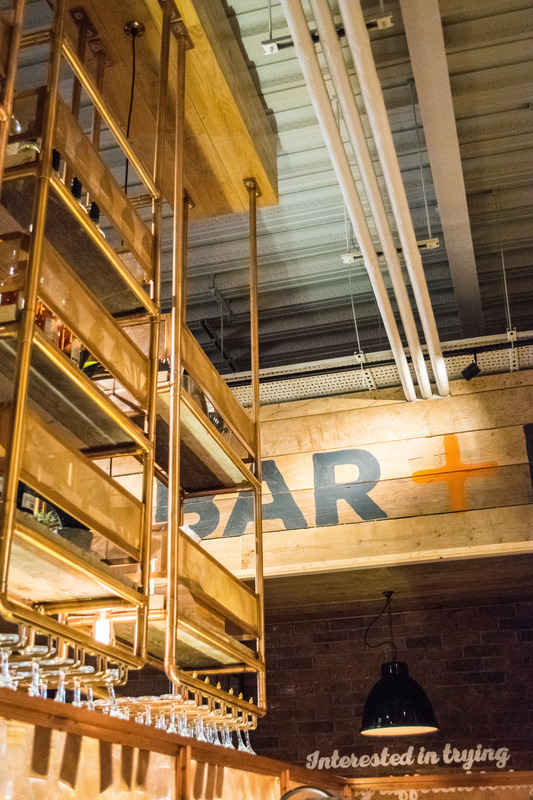 If you find yourself out for a day of shopping, or near Southampton, I’d highly recommend paying Bar + Block a visit. 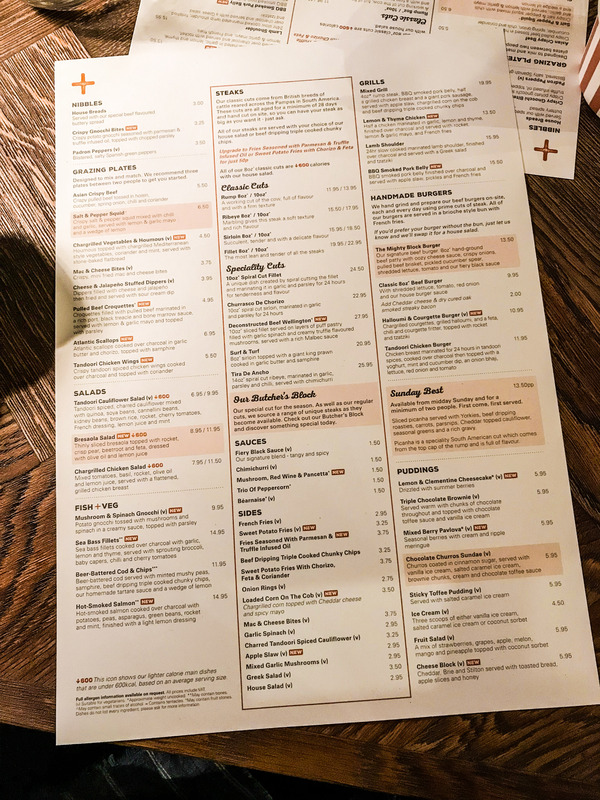 You can check out their menu here. Ohhhhhhh this looks fab! 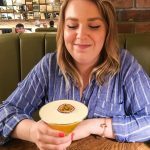 The churros pudding thing looks insane and the cocktails look pretty ace too. I’ll defo give this a try soon! 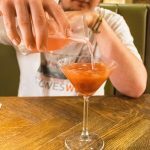 I think we’d enjoy a cocktail night during the week there! 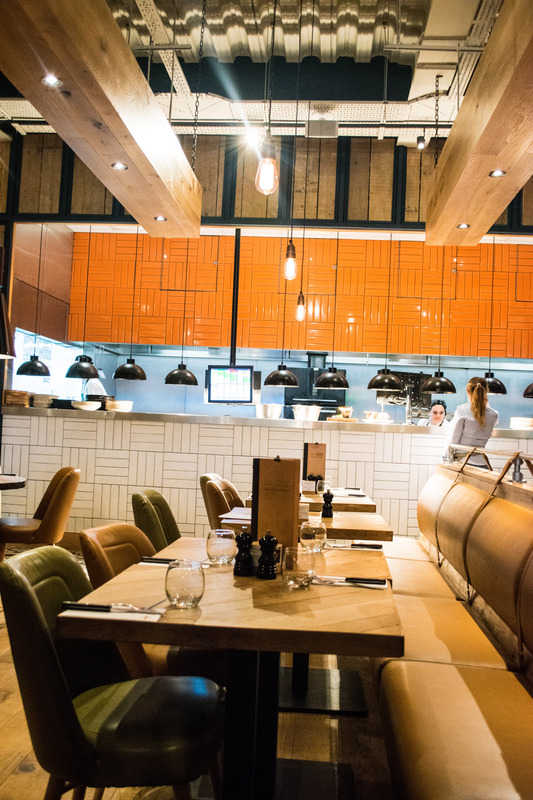 Our head-office is in the area and when we visit we stay at a hotel within walking distance of here. 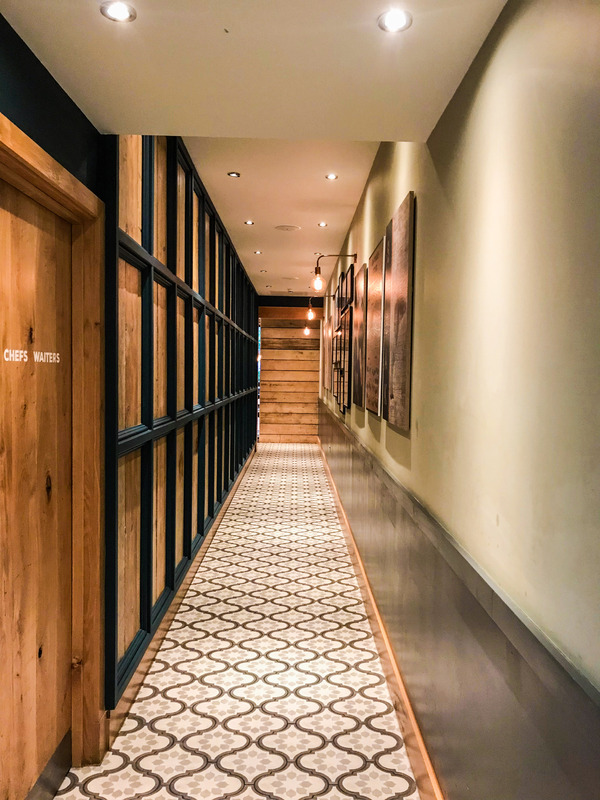 Will have to give this place a try on our next visit for sure! You definitely should! 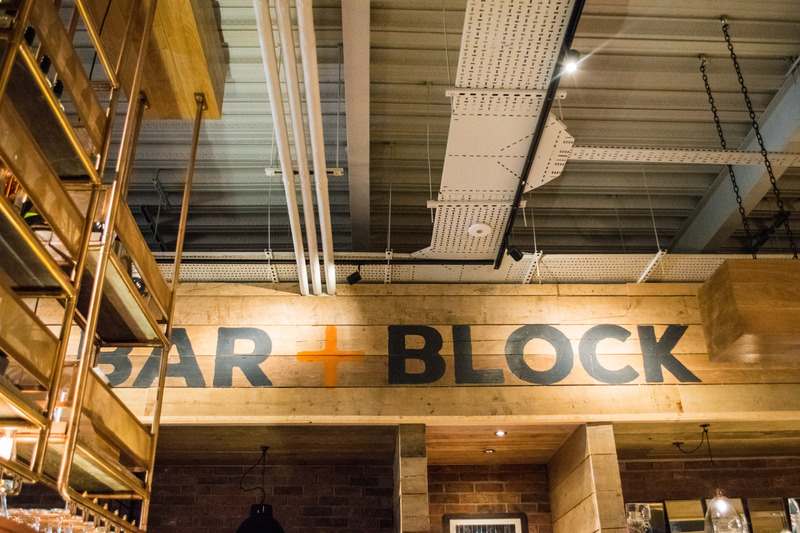 Loads of good choices at Whiteley and Bar + Block is a winner!